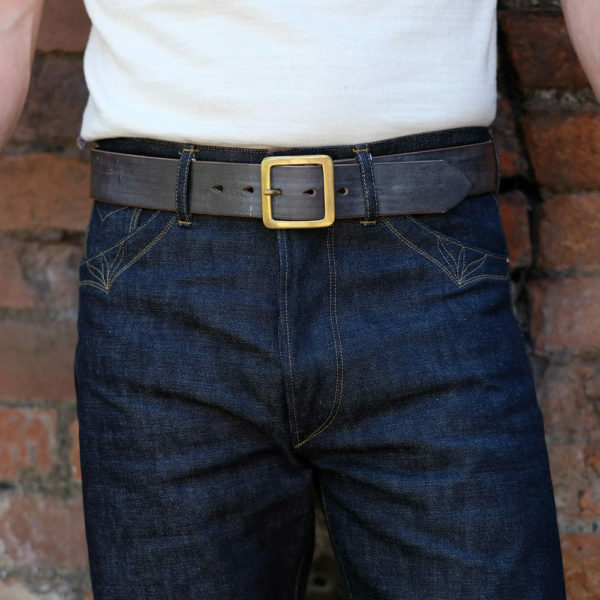 It is quite simply a belt yes. But one you can keep for life that will only get better throughout it. 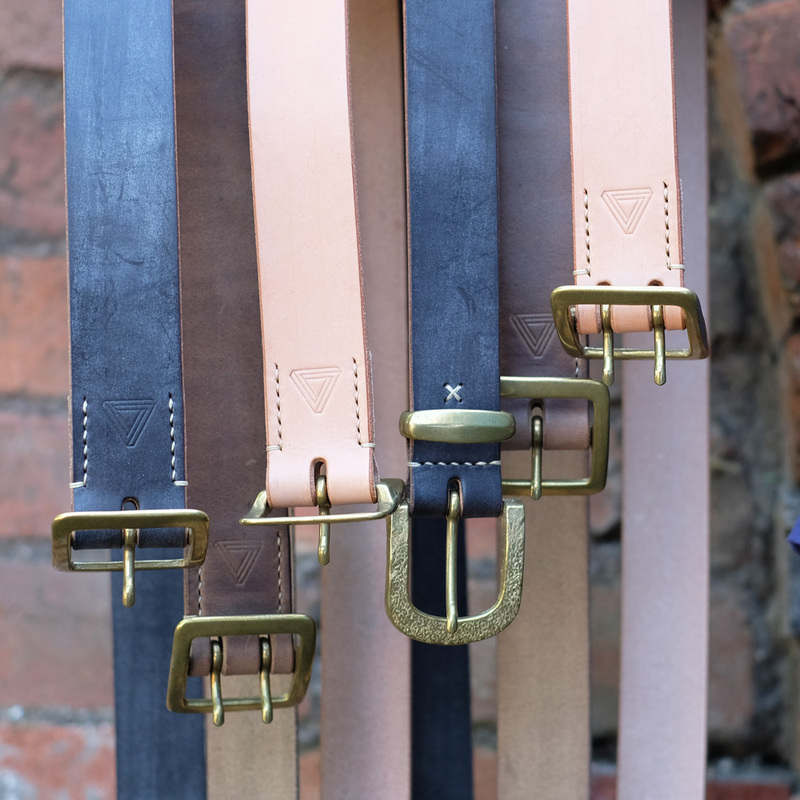 The English Bridle leather comes with a a layer of wax on the surface which can be buffed off if you wish. Just for info. 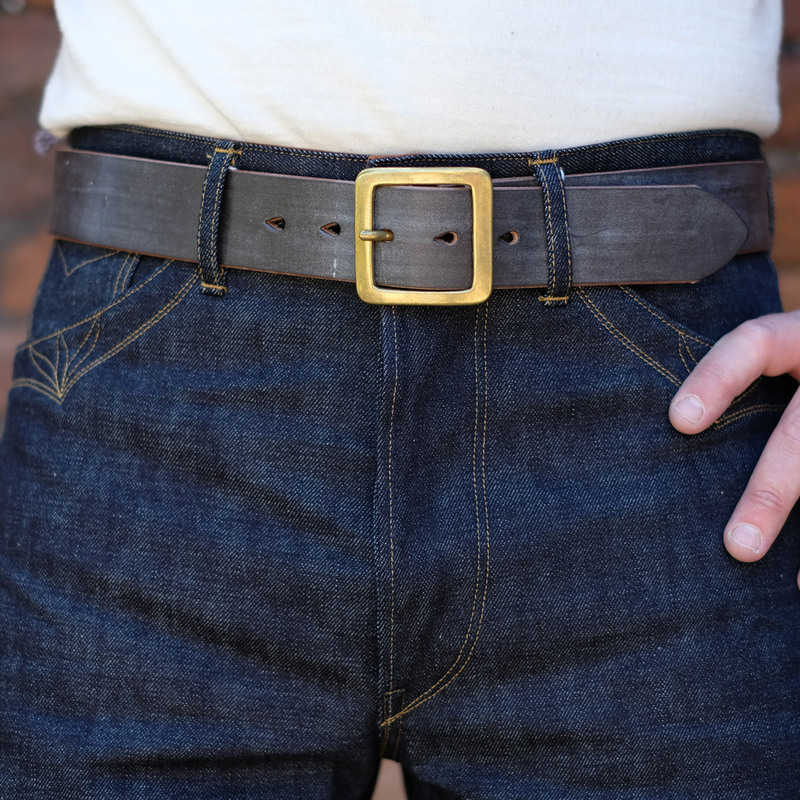 Hollows belts are made by one man with a passion for what he does and who uses great materials and finishing techniques. 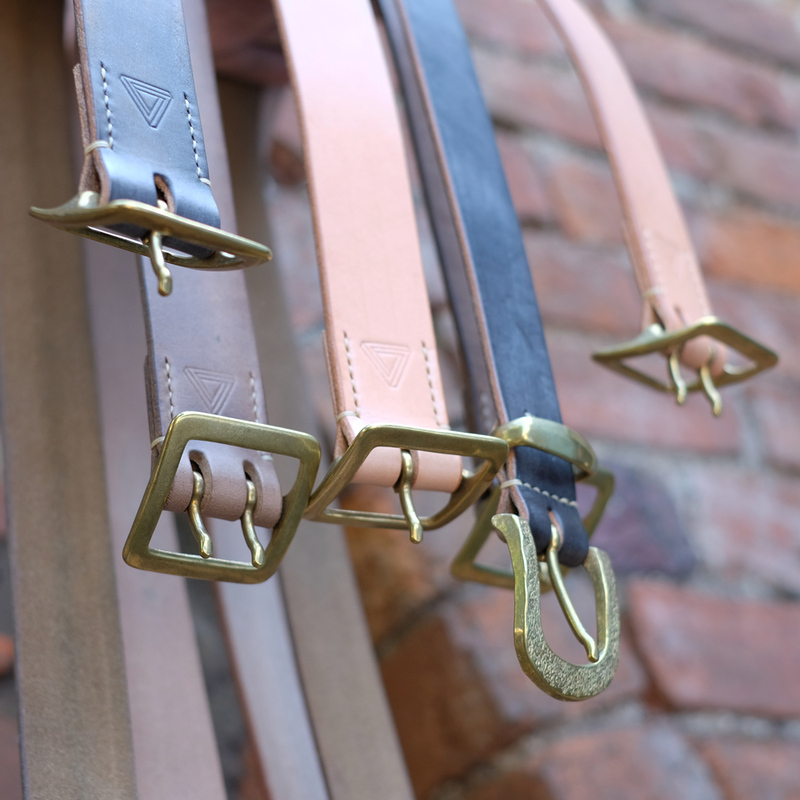 The buckles are solid brass, made to last and hand stitched into the strap. The leather is thick and durable from some very esteemed tanneries and the waxed and burnished edges are all done by hand. 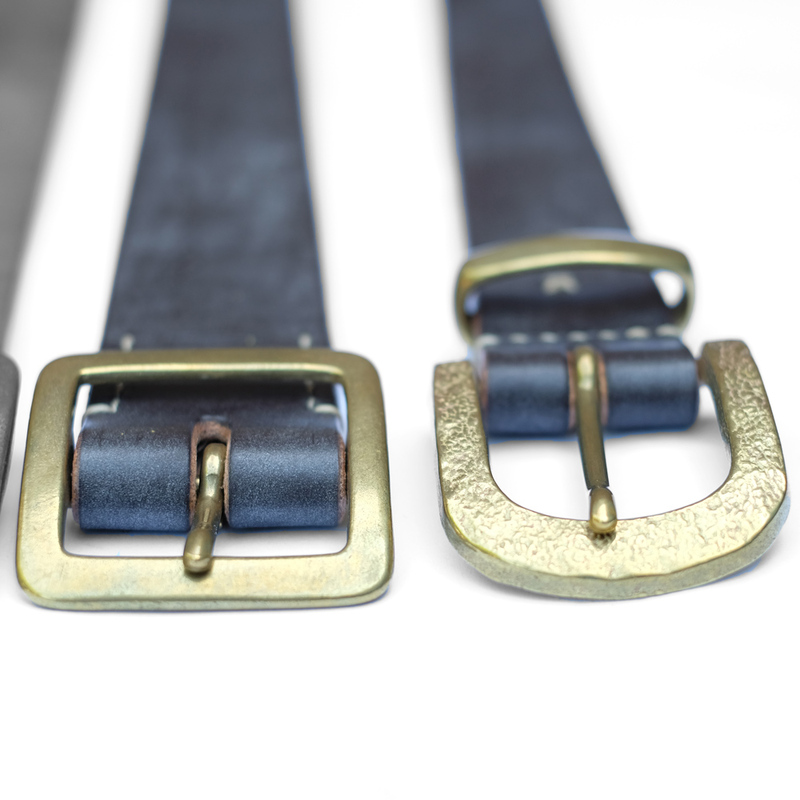 The teardrop holes are to keep the buckle bulge to a minimum. 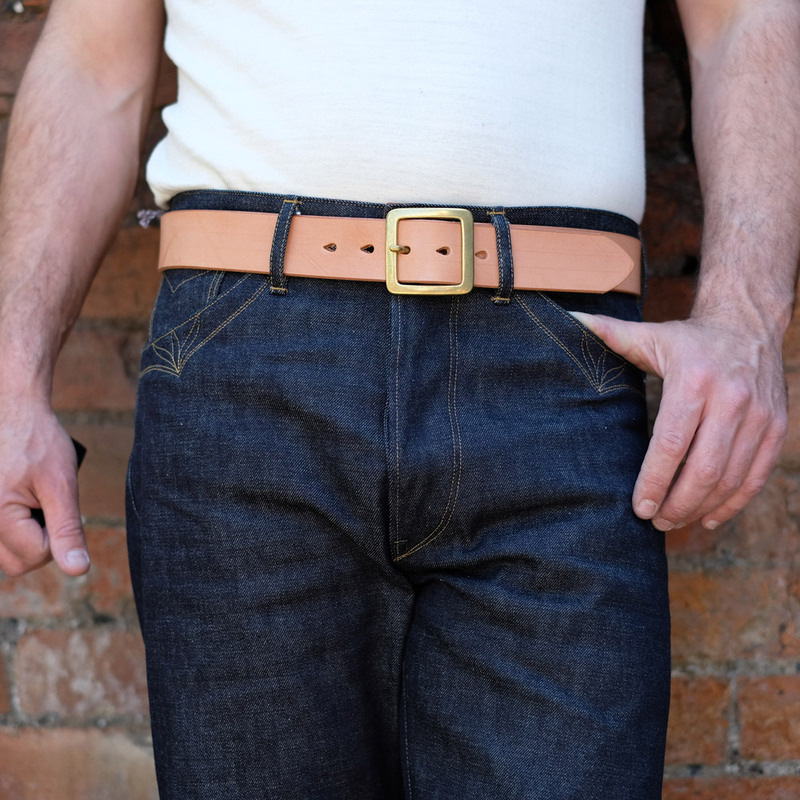 They are classic, understated, neat and can be kept for a life. 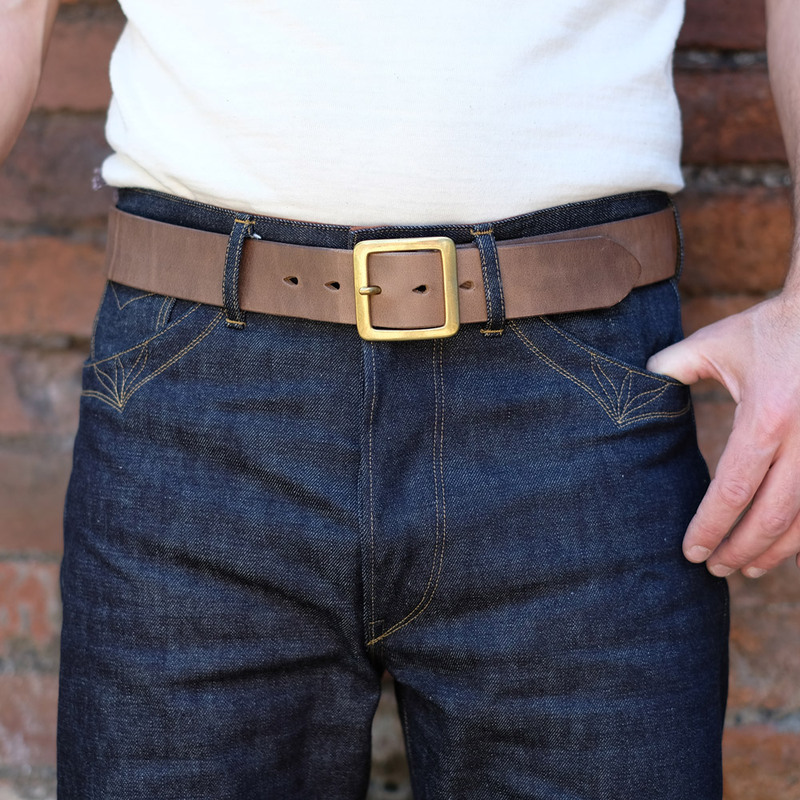 Take a look at the measurements chart and measure an existing belt the same way as described to show you which size would work best for you. Please bare in mind Hollows belts are made with quite a thick leather so if you are between sizes we would recommend sizing up to account for that extra thickness. For reference the “model” is wearing a size M (medium), could wear large also. 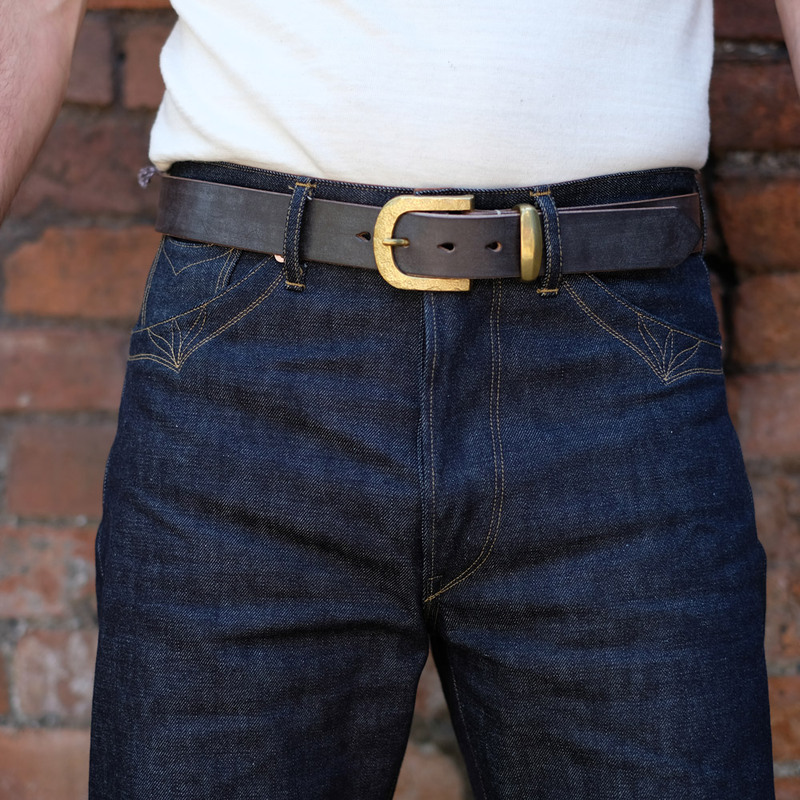 He typically wears a size 32/33 in most western/ Japanese brands of trousers/ jeans.